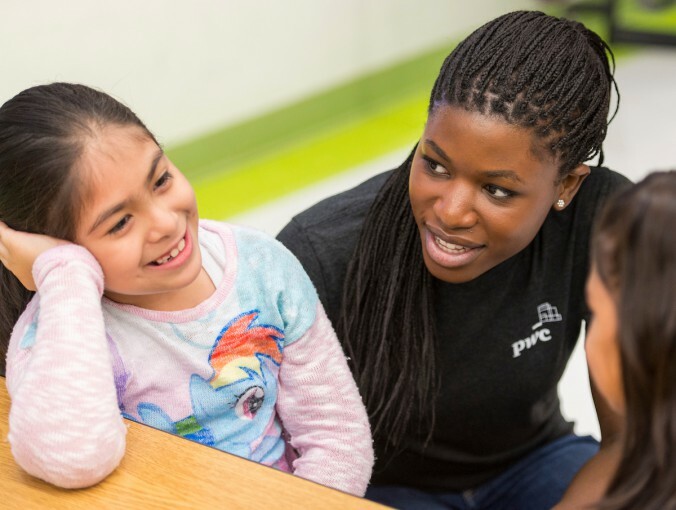 Volunteers from PricewaterhouseCoopers work with students at Benbrook Elementary School. A brand-new school year brings multiple opportunities to volunteer at HISD campuses, but whether you’re a veteran HISD volunteer or you’re interested in becoming a new volunteer, your first step is to get clearance through an annual background check. Volunteers in Public Schools (VIPS) recruits thousands of parents and community partners to donate their time, resources, and knowledge to help HISD children succeed. VIPS opportunities include tutoring on campuses, participating in the district’s Read Houston Read program, chaperoning field trips, fundraising, library assistance, and supporting campus staff. To participate in campus-based volunteering opportunities, register with VIPS. Once you have registered and cleared the background check, go to the school where you wish to volunteer and sign up for an opportunity. You must bring a valid photo identification card with you when attempting to volunteer at the campus. This entry was posted in Volunteers and partnerships and tagged VIPS on August 25, 2016 by HISD Communications.